In a previous role as Creative Director for an interiors brand it was my job to spot what was coming next in terms of domestic interiors. Not so much for a season or two but looks that would be around for years to come. I’ve never understood the idea of short term decorating, its simply not viable except for the super wealthy. Whilst spending time during 2010 on the east and west coasts of the USA, I couldn’t help but register that almost all of the chic homes I visited had white or grey marble as kitchen worktops, floors or splashbacks. In fact, on visiting their powder rooms (downstairs loo to you and me) they also had tiled walls and vanity tops in the same gorgeous marbles. The look was luxurious without being showy, simple but not too basic and added an element of timeless coastal living and charming design to the property without it being too obviously seaside themed. I started to look for similar product in Europe and quickly discovered that the most cost effective ranges came from either China or Turkey. Geology wise there wasn’t much difference to Italian marble, price wise however, there was. In order to bring the look to the largest number of people both coastal and city based, we decided that China was the best source of reliable quality and certain supply. This also meant we could keep the marble affordable and price competitive whilst maintaining the distinctive and impressive appearance. Chinese product can have a bad rap but the factories we visited were clean, well run and on repeated visits always satisfied our western eye for health and safety standards and staff welfare. At Claybrook it seemed natural we would use this look again as a foundation anchor to our collection. The idea has evolved over the 7 or 8 years that I first bought the tile to the UK; back then it was a very clean and white feel that was demanded. This meant selecting out some of the greyer, tan and gold pieces natural to any selection of the material. 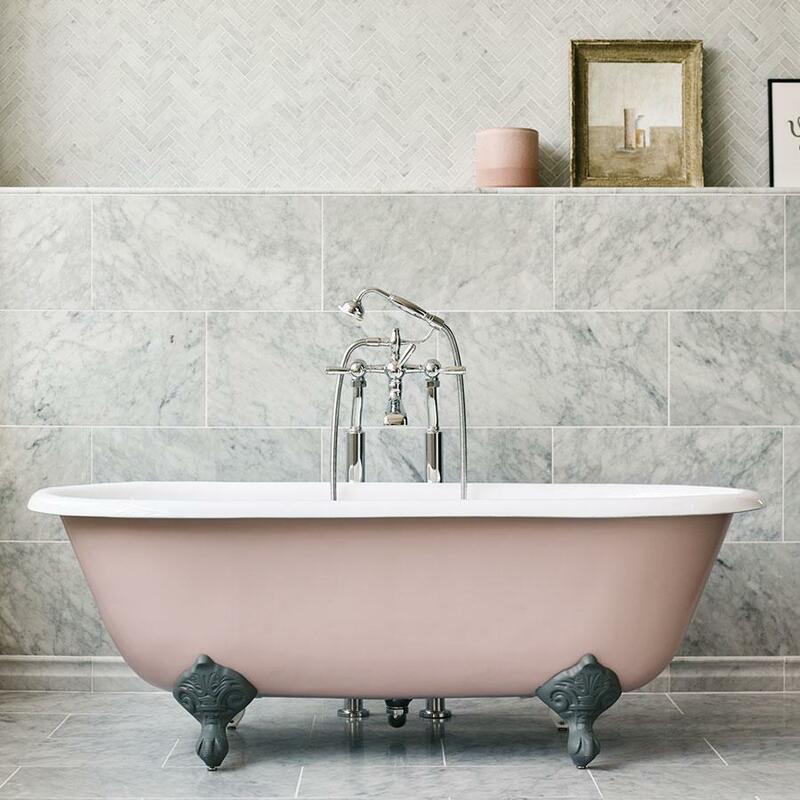 In 2018 the look has softened somewhat as customers want to use the marble as a counter point to warmer tones found in rattan furniture, gold brass wear, wood chevron flooring and cane accessories. 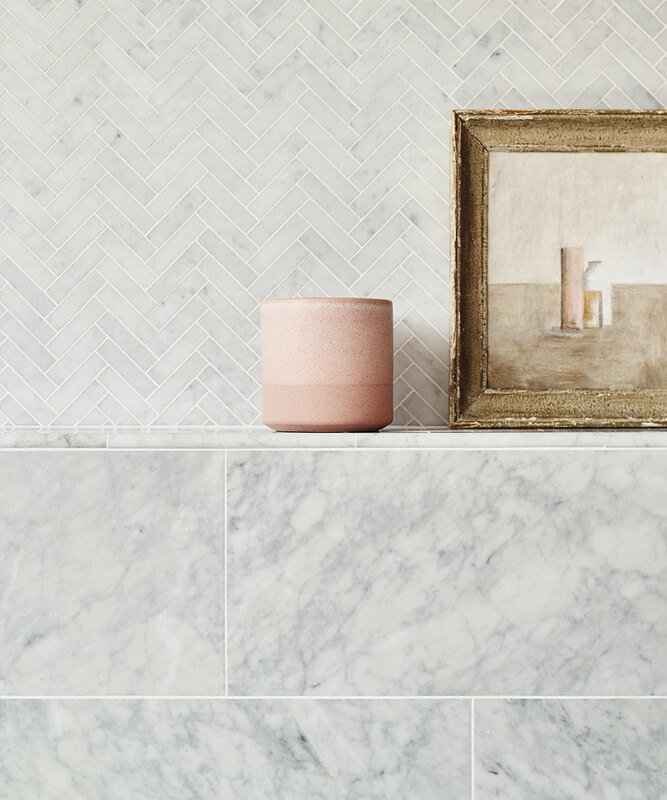 Our East Haven marble matches this need perfectly as it has inherent warmth with gold veins whilst remaining crisp and elegant. The Brookhaven marble collection incorporates light veining in blue and grey for smart interiors with a cooler scheme. There are some downsides to marble in that certain foods can cause staining. Lemon on marble can etch the surface whilst red wine can leave a mark tricky to remove with elbow grease. The solution for those looking to get the look concern free is lookalike porcelain. 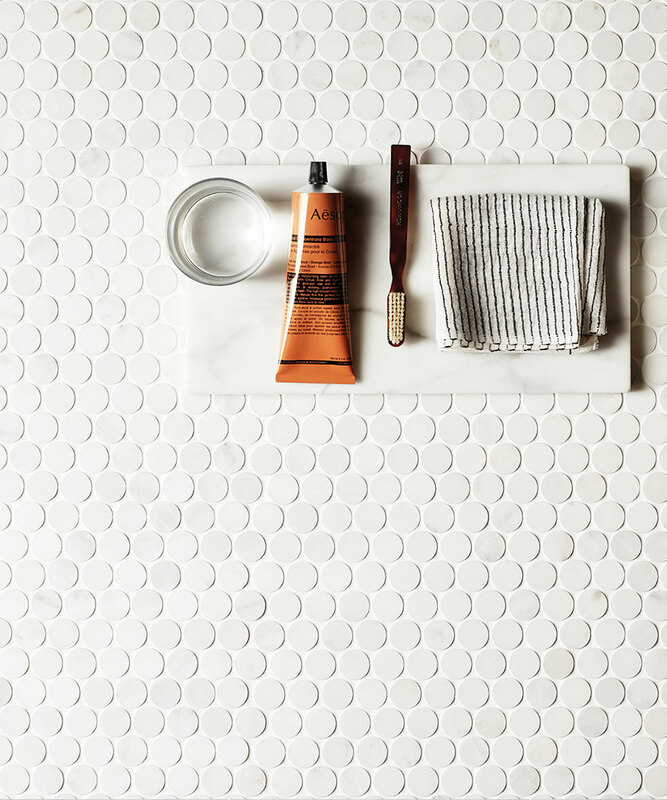 The technology in ceramic and porcelain tiling has evolved over the years resulting in ever more realistic versions of materials made by mother nature. 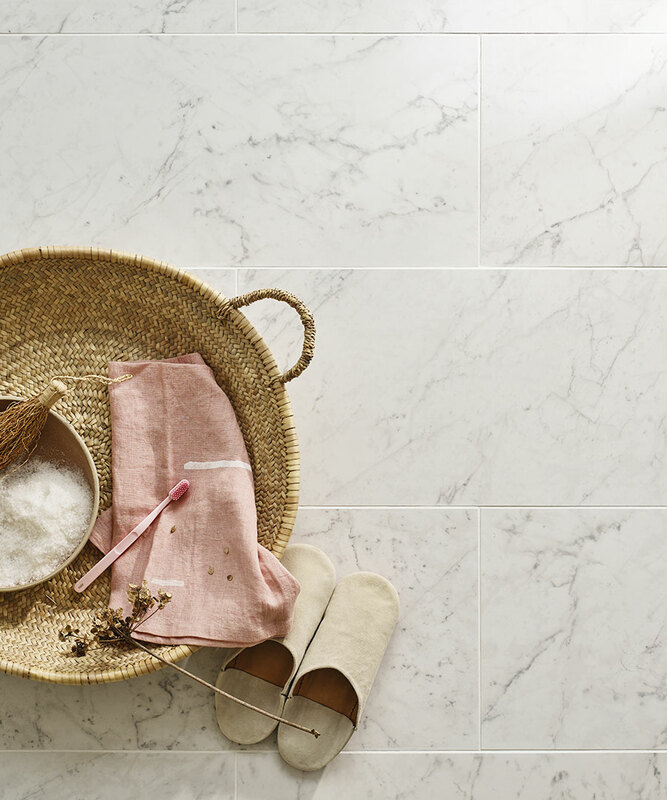 Our Seacliff clement street porcelain is one such case in point; a fantastic hard-wearing tile replicating pale veined marble that recreates more natural material in a cost-effective way. 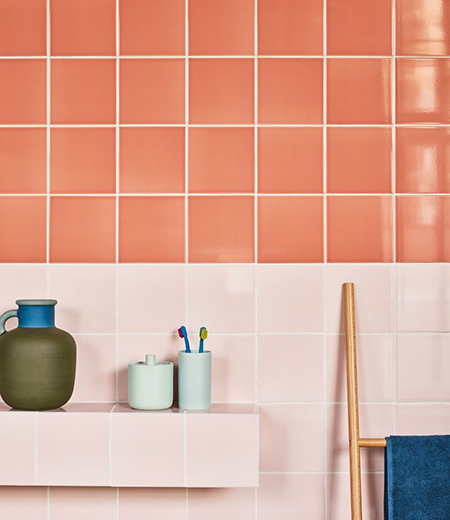 Named after a breathtakingly lovely district of San Francisco the tile is a considered mix of practical and beautiful and suitable for walls and floors. I don’t think the demand for this fantastic material, be it the real deal or the lookalikes, is heading away any time soon as it has such inherent appeal and class.